Photo by The University of New Mexico. A recent study published in the journal California History reveals that, together with hundreds of people, exotic animals arrived in California during the Gold Rush of the 1850s. According to the study's author, Ph.D. candidate in the Department of Anthropology at The University of New Mexico Cyler Conrad, the men and women who landed in the northwestern state with the dream of striking it rich carried with them exotic and non-native animals on a regular basis because they were hungry, and during the early years of the Gold Rush there was simply not enough local food to feed everyone. Thus, Conrad says, Galápagos tortoises, sea turtles, turkeys and Atlantic cod were imported. Other animals, such as cats from Mexico, were brought in to deal with pests. The most exotic in the pack, however, was the kangaroo. Shipped from Australia by boat, the first kangaroo set foot in California in September 1852. 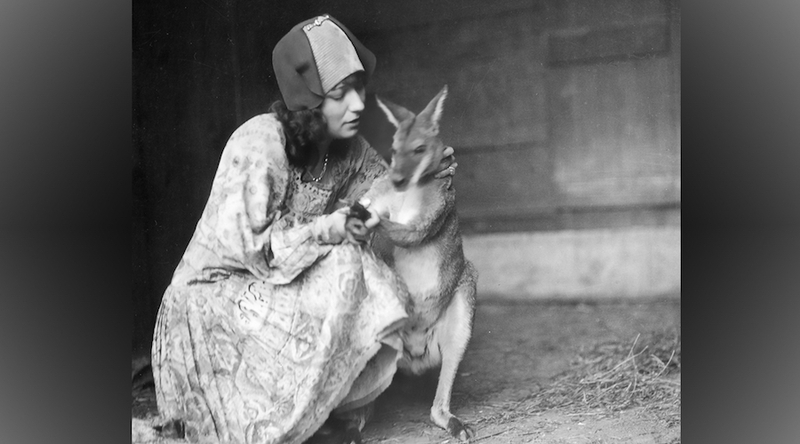 Prior to that, kangaroo rugs and skins were sold with other leather and calf-skins as a textile to meet the high-demand for clothing for the exploding population. The living animal, on the other hand, was brought for entertainment, the researcher found. Emus and dingos joined the Australian animal-expats later on. "Gold Rush Argonauts consumed native and non-native wild animals in great abundance, but new evidence suggests that, instead of serving on an epicure' s plate, the few kangaroos imported to California were used by Australians to make a quick profit in the dramatic and turbulent Gold Rush-era," Conrad explains in a press release.